The myc family of genes is made up of several members that share common characteristics both at the DNA level and at the level of their protein product, c-myc, the senior member of this group of genes, is among the best studied of all cellular genes; N-myc, the next gene to be discovered, established the existence of genes closely resembling c-myc in the mammalian genome; L-myc, the third gene of the group to be described, confirmed some of the myc familial characteristics but also demonstrated some intriguing differences; and finally, B-myc has been described only recently and its characterization is incomplete. Reference has been made to the existence of yet other members of this family of genes, but no detailed descriptions have appeared thus far. 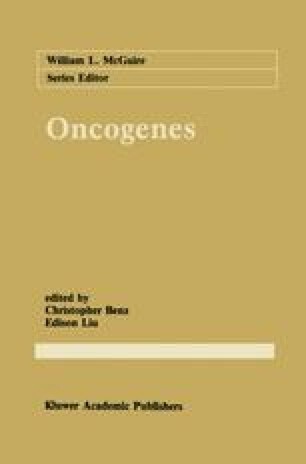 In commonly used classifications of proto-oncogenes, the myc genes with demonstrated oncogenic potential (c-, N-, and L-myc) are grouped with the nuclear proto-oncogenes by virtue of the nuclear location of their protein products. Although two members, c-myc and N-myc, have been studied for many years, they remain among the most enigmatic of cellular genes, with functions and mechanisms of action that have yet to be elucidated. The effects of their proteins on cells have been described only in generic terms, and this poor understanding is at least partly due to our ignorance of the functional biochemical organization of the nucleus.